Our users always keeps us updated on whats new in the market and what other players in the market are offering. One of the very frequent feedback was lack of capability to block multiple sms to the same caller. Though it appears to be a very small feature which our team can develop in a couple of hours, but there could be various consequences of enabling this feature. Team at MissDial has finally developed this feature and that too without effecting our capability to process triggers in real time. 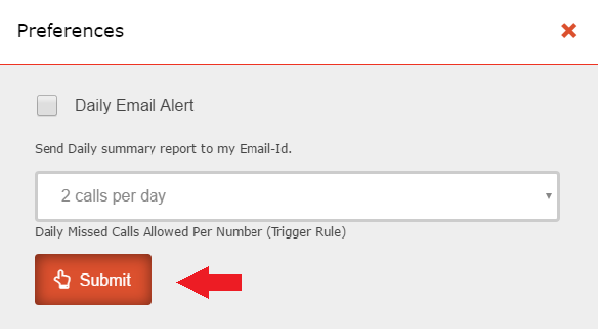 Now we can say a big YES… It is possible to block multiple sms(trigger), to the same number. Our Team named it as our first trigger rule(we would be releasing more rules shortly). This will save your cost for sms/voice calls getting waste on the same number, and also will also improve the user experience, as many people accidently dials the miss call number twice, assuming their first call was not connected. How to block multiple auto-reply sms to same number on MissDial? 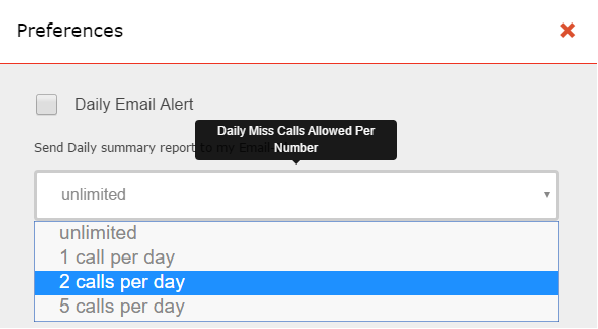 In order to set-up daily missed calls allowed per number, you need to first login to your MissDial account. After login navigate to Manage, click on it. A dropdown will open where you will be asked to select option, click to preferences. A new window will open where you will be asked to select the numbers of calls allowed from a number. By default it is set to unlimited, select the numbers of calls, you wish to allow from a number, in a day and click on the submit button. All set, you are done now. Go to the CDR Reports in My Reports. You can check how and where the rule is applied by clicking on the event button.Click on the bell icon on right side.